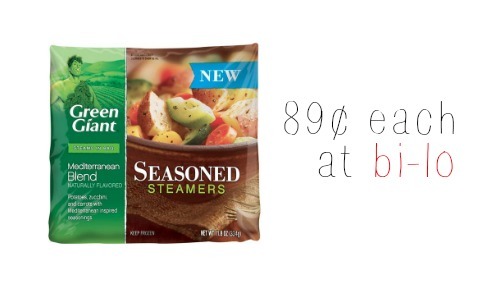 Print this new Green Giant coupon that’s good for 60¢ off (3) Seasoned or Valley Fresh Steamers! You can get them for 89¢ each at Bi-Lo. This deal is valid through 11/4.